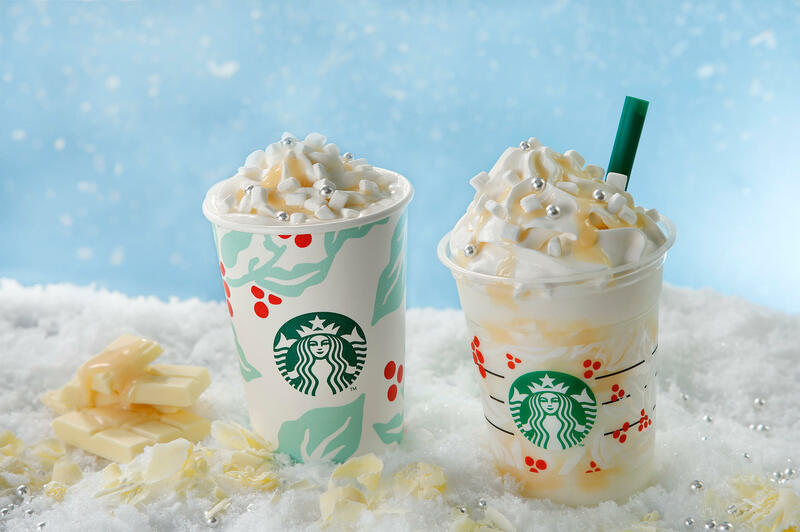 The second round of Starbucks Japan’s Christmas drinks will arrive in the form of the new White Chocolate Snow Frappuccino® and White Chocolate Snow. These two wintertime beverages are inspired by snow falling on Christmas Day to warm the hearts of people this holiday season. A line-up of limited edition sparkly merchandise as well as desserts and food will also be sold. At the core of many people’s heart during this time is the image of a White Christmas. Starbucks’ two new snowy beverages aims to light that seasonal vibe in people and evoke those Christmas memories. The drinks are topped with white chocolate sauce, marshmallows and whipped cream to create piled-up snow, and the silver dragees are coated with shiny silver leaf to look like sparkly snowflakes. Both beverages are like White Christmas in a cup, combining white chocolate and milk to create a rich, comforting flavour. In the run up to Christmas, the temperature gets gradually colder, one step at a time. 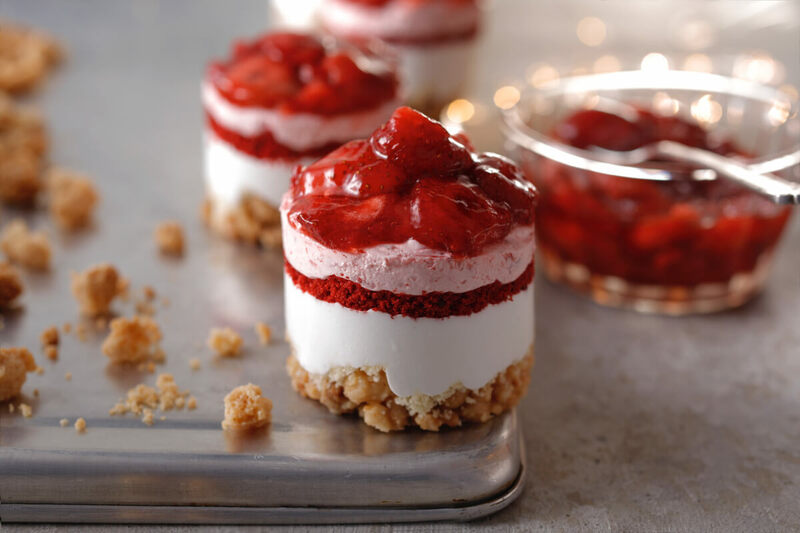 The Strawberry Gradation Cake is the perfect coffee time accompaniment, layered with different sections of strawberry to warm your heart. 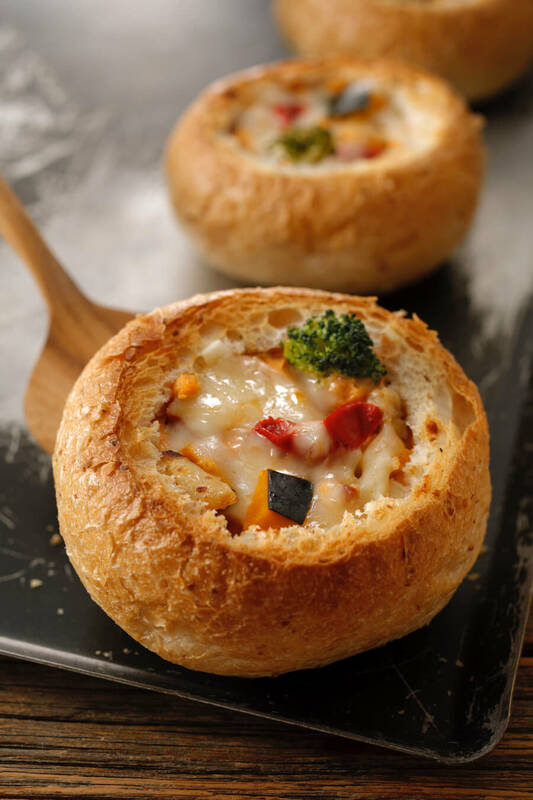 There’s also the crunchy bread gratin cooked in a stove furnace and filled with a soy milk tomato cream, roast chicken, pumpkin, broccoli, red paprika and cheese. Feel that comforting vibe that only Christmas can give you season with Starbucks’ special new menu line-up. All items sold at most Starbucks branches across Japan.